Anderson, OH is packed with family fun adventures from Coney Island to French Park. You and the family will not want to miss out on these adventures, but tooth pain can definitely hold you back. If you do experience a toothache while you are away from home, know that there are many emergency dentists in Anderson ready to help you and alleviate your pain. 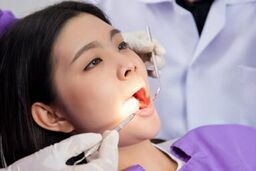 Emergencydentistsusa.com is committed to making sure that you have the information you need on hand. We have compiled a list of emergency dentists in Anderson for you. All you need to do is take a moment to look at the list and choose the dentist nearest you. If you are unable to get online or you are in a rush, feel free to call our toll-free dentist finder hotline. Our team is ready to help you and provide you with the answers you need about which dentists are nearby and how to get to them. Our team will schedule your first appointment for you as well. We do recommend that you arrive about 15 minutes early to your appointment, as this will provide you with enough time to fill out paperwork. In addition, you should bring a method of payment, your insurance card, and your ID with you. A dental emergency can arise at any time and if you find yourself with a serious dental problem, you need to know that there are options available to help you. Anderson, OH is packed with emergency dentists who can provide you with the sedation options you need down to tooth extractions and infection care. Below, you can learn more about the different types of emergency dental offices found in Anderson. Description: At Anderson Dental Care, we handle all types of dental emergencies that may arise. From a broken tooth to a severe cavity, we are here for you. In addition to our emergency services, our practice focuses on a wide range of services from Invisalign to bridges, and more. We know that visiting the dentist can be expensive and we strive to keep our prices as low as possible. Description: At Advance Dentistry, we are here to meet your needs and provide you with a positive dental experience that you love. Our process is hassle-free and we want you to know that we offer a wide range of services from IV sedation to emergency dental appointments and more. Our team is committed to providing you with complimentary exams and x-rays. Description: At Just Smile, we are committed to meeting all of our patients’ dental needs. We specialize in painless dentistry and we offer emergency care services. Our office wants you to be able to afford your appointment here, so we keep our prices low, offer payment plans, and accept insurance. Each one of our team members is highly trained and educated to provide you with the care you require and deserve. Tooth pain is not fun and it can ruin your entire vacation, but it does not have to. There are many emergency dentists available in Anderson and you can choose any available provider. If you have had tooth pain for more than a couple of hours, it is imperative that you visit an emergency dentist. Your first sign to a serious problem may be the pain you are experiencing right now. If you were injured in an accident and as a result have tooth or jaw pain, you should visit the emergency room first to ensure there are no underlying conditions that could be causing the pain such as head trauma or broken bones. Before you visit any new emergency dentist in Anderson, you should verify their credentials and check their licenses to ensure they can legally perform the dental procedures you need. To do this, you can inquire with the front receptionist at your appointment or you can search the dentist’s name on the Ohio Dental Association website.